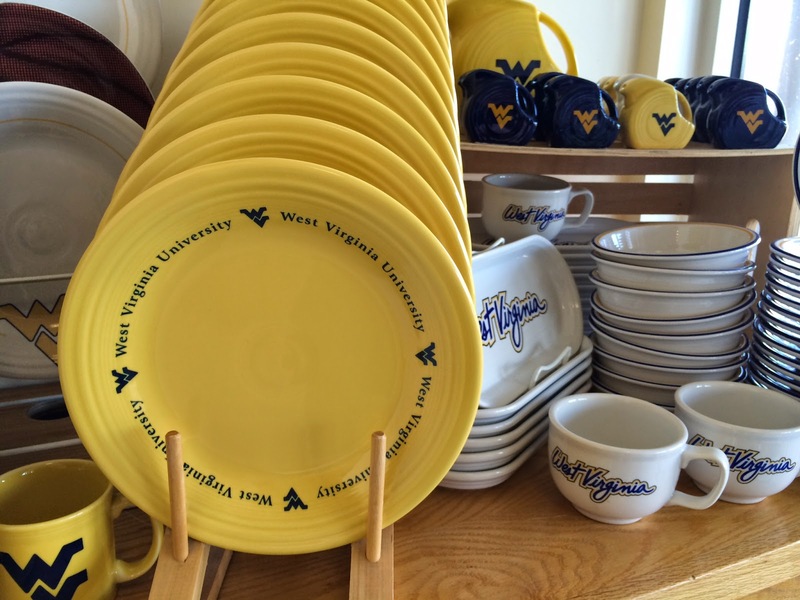 from the Homer Laughlin China Company. 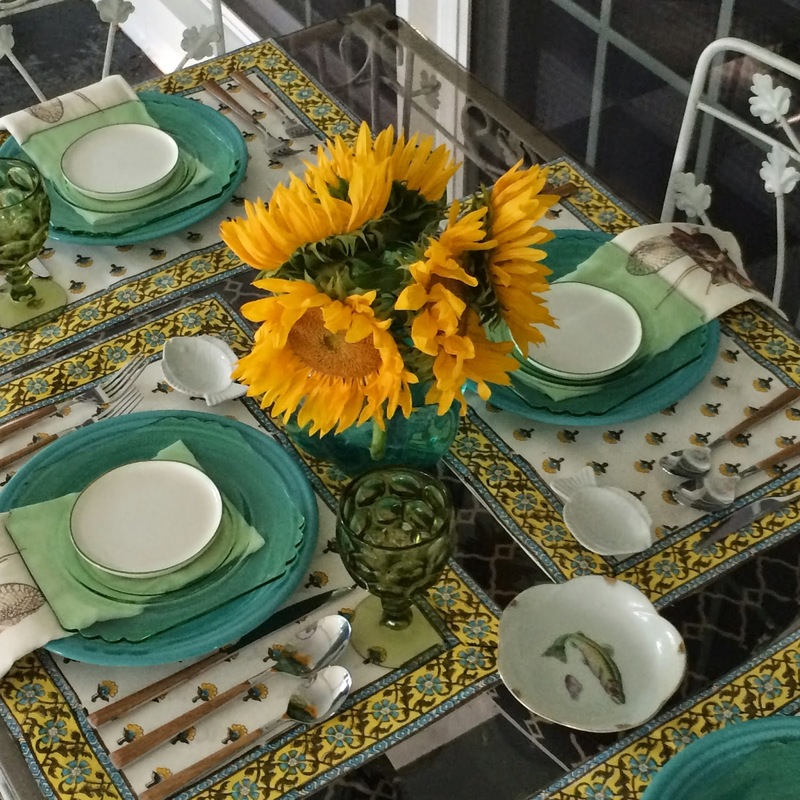 four place settings of these this Spring. official Fiesta Factory is in Newell, WV. as we approach the city. as we have an office in Louisville and an office in DC. thru the trip (at exit 67) is Newell, WV! We stopped by the outlet one trip home this Spring. 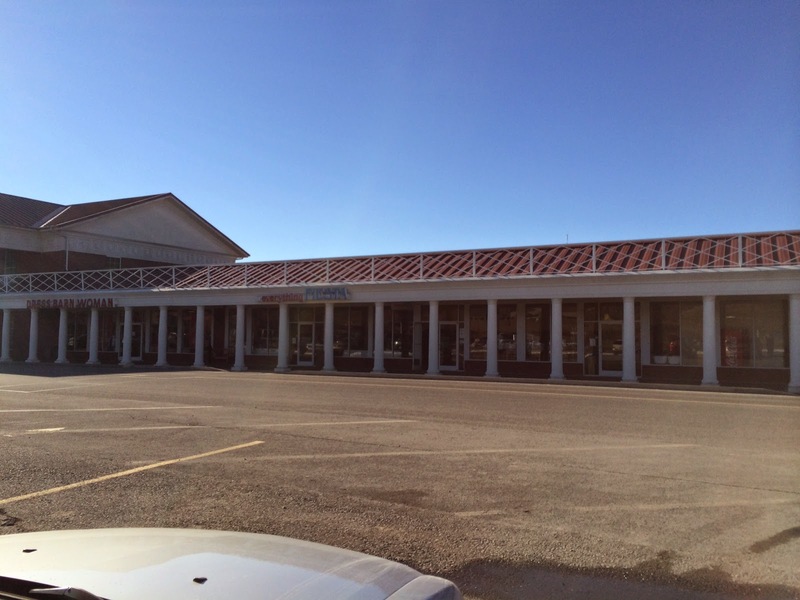 Located in a modest strip mall is a Fiesta Heaven! 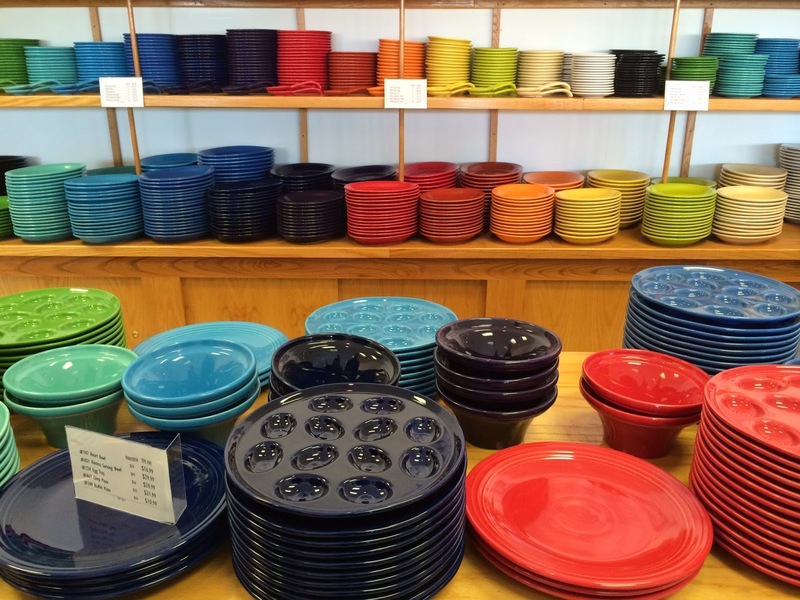 They sell first quality china in every color in the rainbow. where seconds and offs are marked down. Yummy piles of colorful dishes everywhere! I love to support American made products. you can read more about their history here on their website. 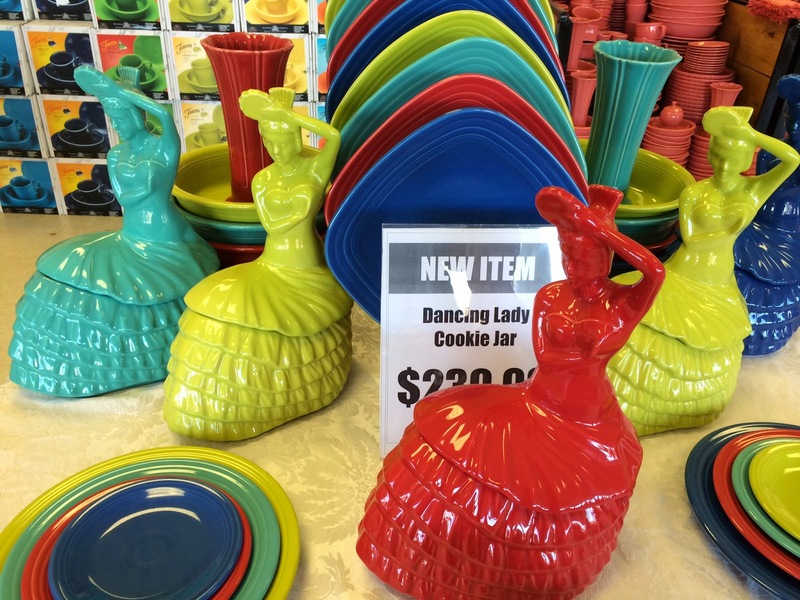 And the history of Fiesta ware here. I hope these pictures have brightened your day! 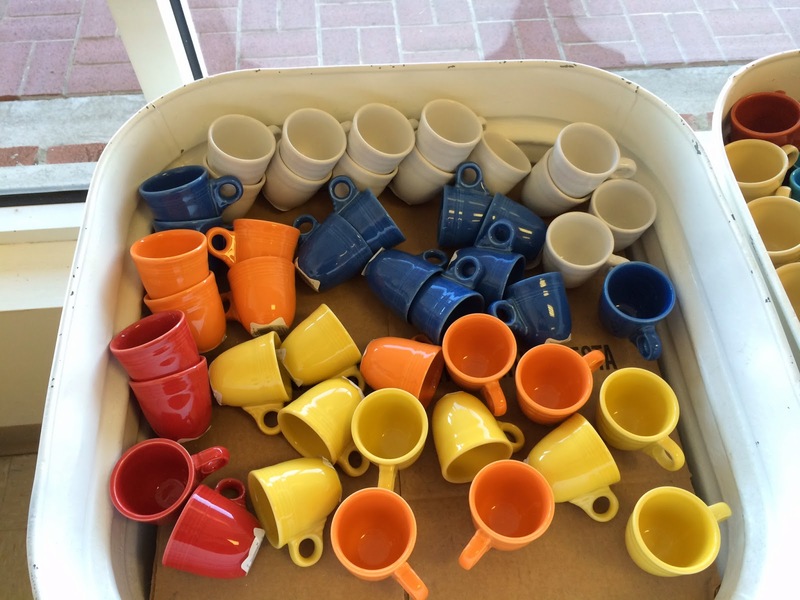 Do you have a Fiesta ware collection? I love It ! I collect Fiesta ware too! Don't you love all the colors! Thanks for visiting! I am tempted to stop again each time we drive by! I-64 out of KY? I am thinking of a road trip from south central KY. Thanks for info on the outlet. It's on the way to Morgantown, by that time I think its HWY 79? There's driving directions on their site though -thanks for visiting! I know ~I did not take very good pictures b/c I was so excited looking thru all those huge wood bins- thanks for visiting. I saw your link from BNOTP and had to come here and comment on your Homer Laughlin visit. I live about an hour and a half from Newell and love going down there to shop their seconds room. 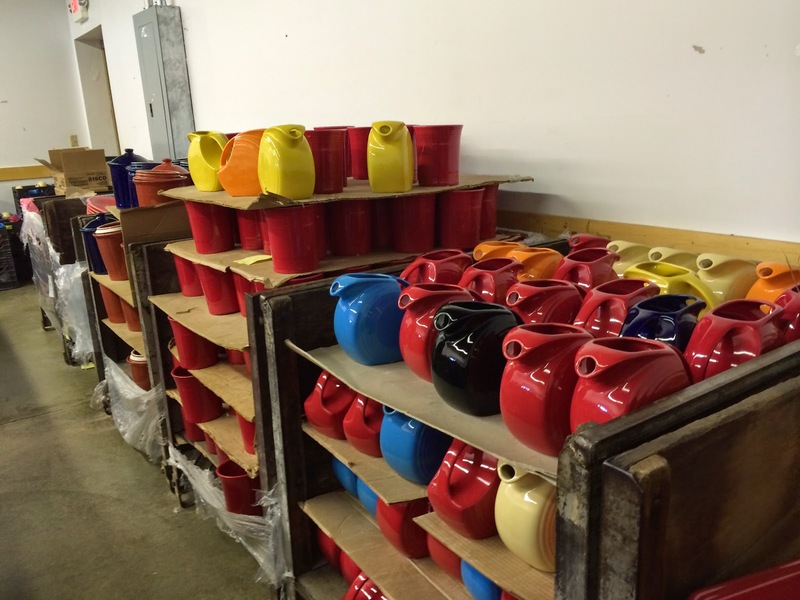 I use the dishes for everyday, and buy various colors since you can't usually find a lot of everything in just one color in seconds. Have you ever taken the tour? 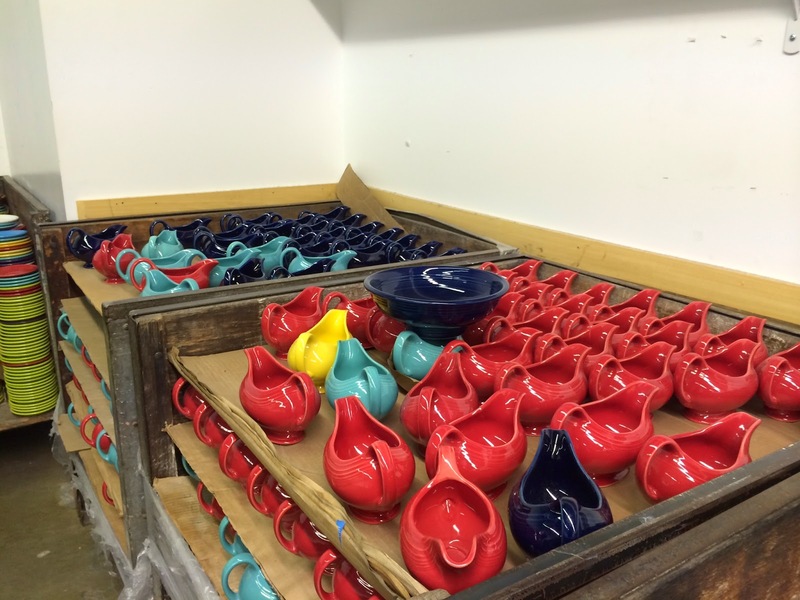 It's fun to do if you have time and very informative as to how they make the pottery. That is funny -it's for sale in a lot of places these days -It seems it used to just be in antique malls. Thanks for visiting! Wonderful! 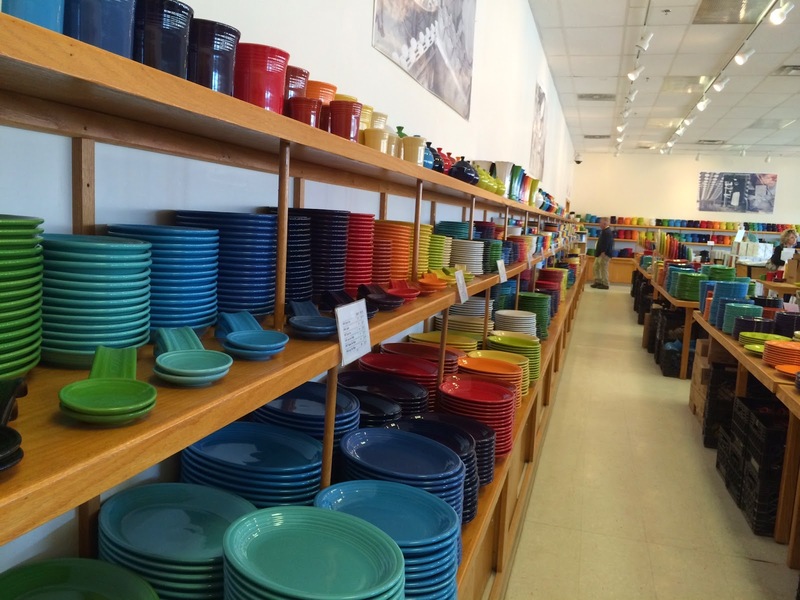 I've only recently started to appreciate Fiestaware and the huge variety of colors, they're a tablescapers best accessory. 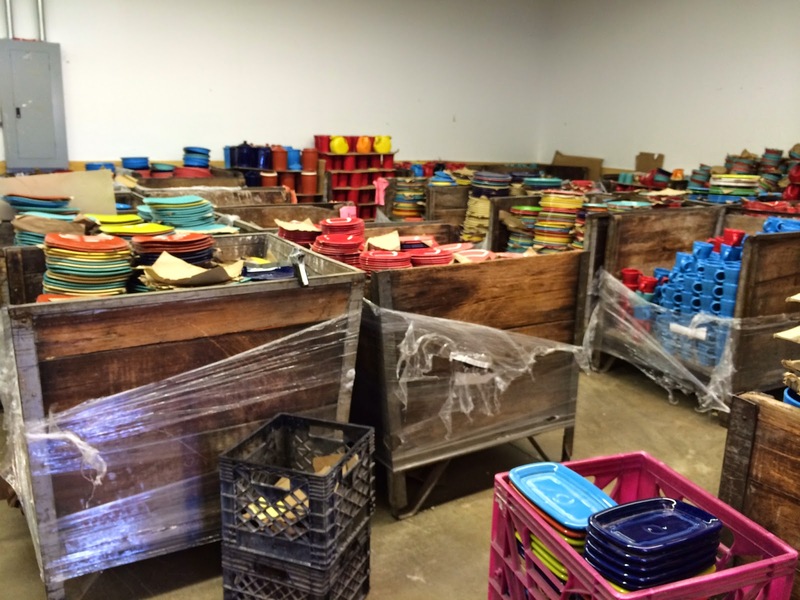 Is there anything more exciting than a 'backroom' filled with bins of marked down dishes?!? Thanks for the fieldtrip info! I would LOVE to get to go there! 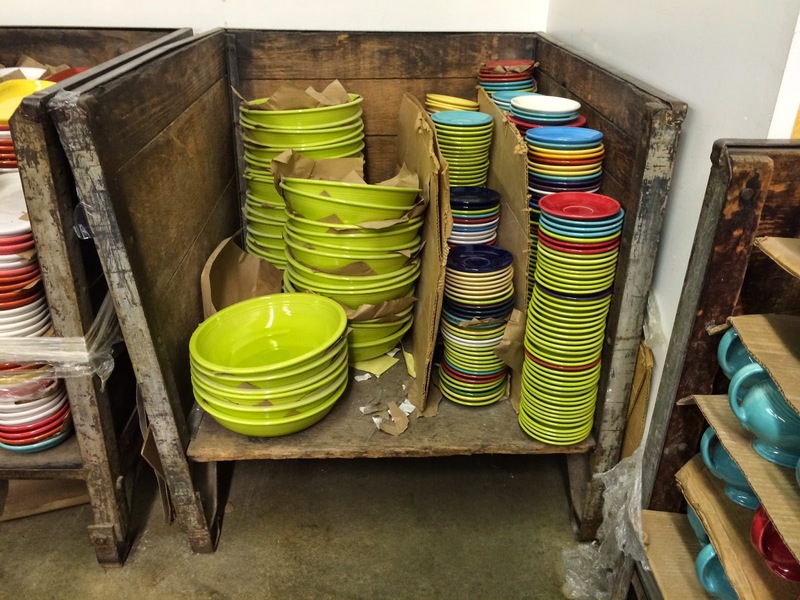 I would love to have a variety of Fiesta ware to use on a regular basis!